Trump’s global gag rule is even worse than it seemed. President Trump signs an executive order at the White House in Washington on Monday. George W. Bush specifically exempted the President’s Emergency Plan for AIDS Relief, or PEPFAR, from the global gag rule because it was widely understood that the program couldn’t meet its prevention and treatment targets otherwise. Scott Evertz, who served as director of the White House Office of National AIDS Policy under George W. Bush, tells me, “It would have been impossible to treat HIV/AIDS in the developing world as the emergency that PEPFAR said it was if the global gag rule were to be applied to the thousands of organizations with which those of us involved in PEPFAR would be working.” Evertz offers the example of a standalone health clinic in the slums of Nairobi, Kenya. Would the U.S. have to certify that it never referred any of its patients to an abortion provider before enlisting it in the fight against AIDS? 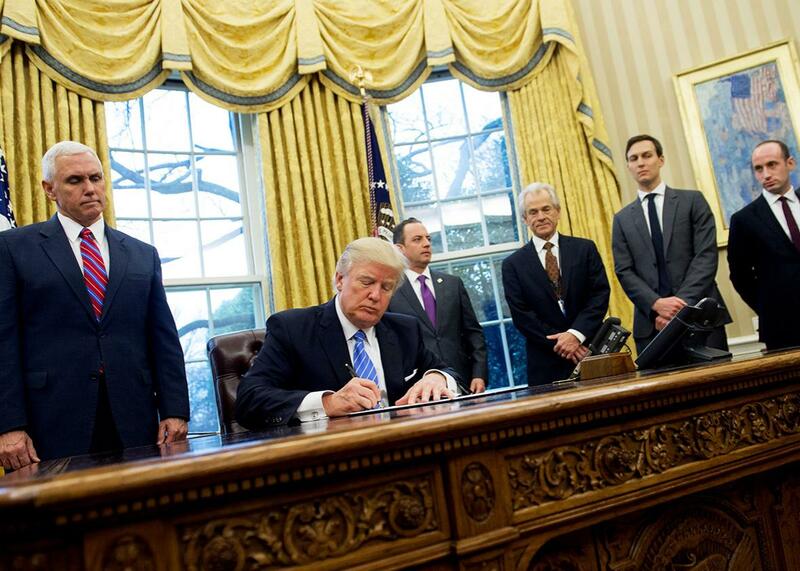 “The notion of applying the global gag rule to them would have made it impossible to implement the program,” he says. Ann Starrs, president of the Guttmacher Institute, says her staff feared social conservatives on the Trump team might push to broaden the global gag rule. Others, however, are stunned at the move. “It wasn’t unexpected that they would reinstate the global gag rule, but the dramatic expansion of the scope of it is truly shocking,” says Gupta. Some in international reproductive and sexual health circles are speculating that the new policy is Trump’s way of lashing out at the millions of women who marched against him on Saturday. “I would not necessarily be surprised if it were a reaction to the women’s marches,” Evertz says. “Although applying the global gag rule to PEPFAR’s programs ill affects millions of men as well,” since HIV/AIDS programs that treat entire communities could face defunding.